Photo by MAMTA LULLA/Advocate staff Steven Gibbs and Natalie Buchanan are off to Ontario on their bikes to raise awareness and funds for Epidermolysis bullosa. Aug. 30, 2017 10:30 a.m.
Natalie Buchanan, who was born in Red Deer and raised in Lacombe, along with Torontonian Steven Gibbs began their journey Wednesday to support Epidermolysis bullosa research. The rare genetic condition is estimated to affect 20 per million newborns in the United States. In its worst forms, the condition causes the skin to shear at the slightest touch, causing painful wounds and blisters. Children with the condition are often called “butterfly children” because their skin is as fragile as a butterfly’s wings. There is no cure. 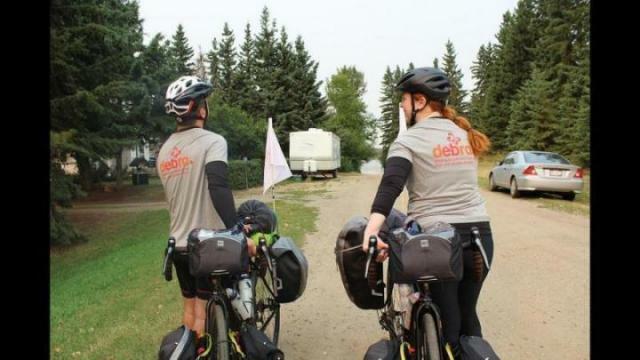 Buchanan and Gibbs started from Lacombe Lake and will cycle 50 to 70 kms daily, averaging five to six hours on their bikes, to reach Sudbury, Ont., by Nov. 1. Buchanan, who has a mild case of the condition, cannot walk or hike for long periods, but she is trying her luck on her bike to raise awareness. “Biking is less friction, so it won’t cause blisters the same way [walking would],”said Buchanan, 26. Initially, the couple tried to think of fun ways to travel either east or west to support their cause. They quickly marked walking off their list due to Buchanan’s mild case of the condition. They decided cycling was the best option. 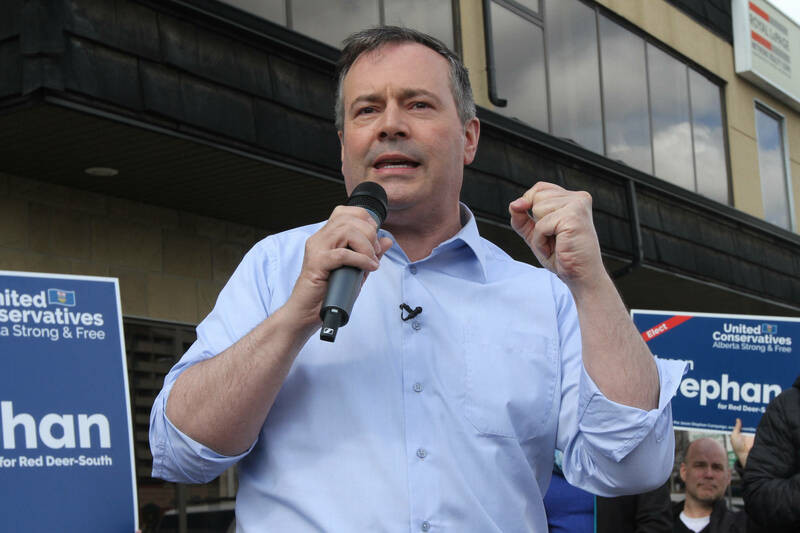 Gibbs quit his job of 10 years at a car dealership in Toronto to join Buchanan on the road. “We are blessed to stand for such a strong cause, and it’s very unknown, so any kind of awareness we bring, even if it’s for a few people, is an advantage,” he said. Buchanan’s father, Brent, saw the couple off. “I’m proud these kids are bringing more awareness to the disease, and hopefully more people understand it,” he said. Buchanan and Gibb have raised $575 toward their $10,000 goal. Gibbs and Buchanan met in Ontario, where Buchanan was studying. To make a donation visit the couple’s donation page at www.debracanada.donorpages.com.